If you missed my previous post, I am trying to work through all the challenges in the PaperCrafts Stamp It Card Challenges magazine. Here is #2. Challenge #2: Stamp one image seven times. Thanks for all the comments on my last post! It seems like I may need to make the leap to Instagram...maybe I will try it soon. Eek! New social media!! You've posted twice... this is definitely a positive sign. :) And I have to say, you've lost none of that cardmaking style you always had, as this is a fun and happy card! Very fine fussy-cutting, too. Do you have a MISTI or equivalent yet? And if you do, isn't it a game-changer? I'm a left brain/right brain math teacher/card creator. 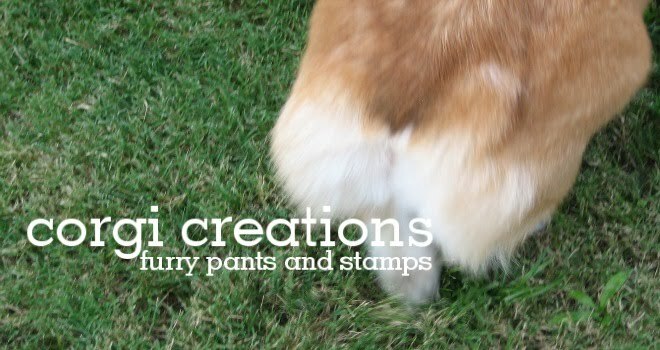 I'm married to a guy that makes me laugh every day and we have a corgi that makes both of us laugh. 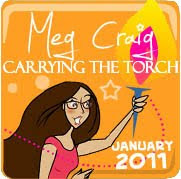 All content including text, photographs and design work (unless otherwise noted) is © Meg Craig. They are for your personal enjoyment and are not to be copied for submission to contests or publications. If you are inspired by my work, remember to link with love. Thank you! I have received free product from the following companies: Eat Cake Graphics, Amber Ink, and Market Street Stamps. But I'd love 'em anyway!